Enjoy a family break at Ballygarry House where kids stay FREE! Our rates include passes & activities, free onsite adults & children's bicycles to explore the nearby woodland and during your visit children can enjoy our in house DVD's and Board Games with our compliments. Easter at Ballygarry House brings eggcitement and joy to children and families. This Easter, we have a Colouring Competition and a Garden Treasure Trail for the younger guests to enjoy. 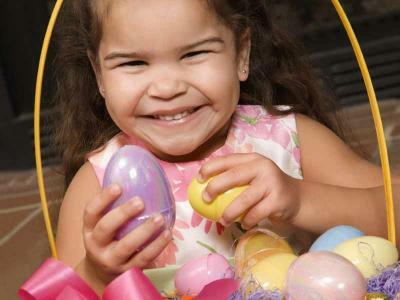 Each child will receive a complimentary Easter Egg on completion of the family fun treasure trail. 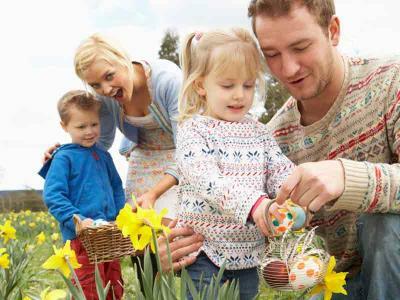 Treat your family to a fun packed family break in Kerry. Why not try our Family Glamping during the Easter holidays? Treat the little VIP guests to a new experience. 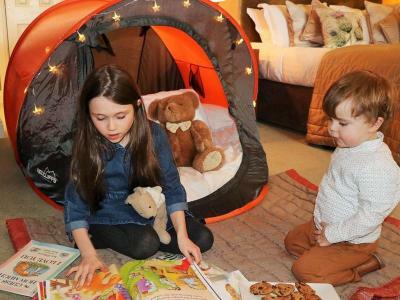 In a Superior room, the younger members of your family will find a pop up tent complete with feathered duvet, plush pillows and fairy lights all for a captivating experience. Enjoy our inhouse board-games and DVDs all with our compliments. Adults can avail of complimentary access to the Thermal Suite, Outdoor hot tub, Fitness Suite and relaxation room during their stay.